The image above is of Eric Hinske playing in a Red Sox/Yankee game. That is appropriate because today’s edition of The Sully Baseball Daily Podcast focuses on the upcoming Red Sox/Yankee series and the accomplishments of Eric Hinske. No games were played yesterday, so nobody owned baseball. 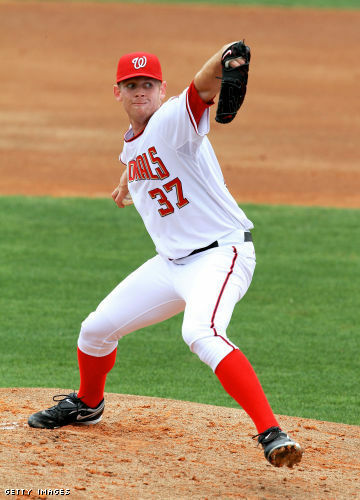 Stephen Strasburg is eligible for Arbitration after the 2013 season. He originally signed a 4 Year/14 Million Dollar Entry Level Deal after he was drafted in 2009. Perhaps no team will have more of a chance to win the 2013 World Series with Harper and Strasburg will be another year older, while both Zimmerman’s can both have been healthy for the year. They have two Mutual Options for them to re-sign which I mention on the next page. They do have several Arbitration Eligible Players including Super ‘2’ Free Agents Jordan Zimmerman and Tyler Clippard. The Nationals should try to lock most of these guys up as long as they can. Especially guys like Desmond, Espinosa and Storen. Their price shall only skyrocket as they become older. The Nationals will not have to worry about their starting outfield of Morse, Werth and Harper as they are all signed for next year. Strasburg enters the final year of this entry-level deal and Gio Gonzalez also has a nice value deal for the salary part of it. Kurt Suzuki had a strong finish in 2013, so you could see the club maybe trading away he or Wilson Ramos before 2013 Trade Deadline. I suspect the Phillies to be stronger this year, so major improvements by Harper and rejuvenated play from both Zimmerman’s will be crucial to the clubs success. Micheal Lerner has made it abundantly clear he wants a championship for this club ASAP. He will spend any amount of money . The rest of the lineup looks set and ready to mash in 2013! Since Roy Halladay missed almost 2 months of baseball in 2012, his 2014 (20 Million Dollar contract will only become exercised if he pitches 225 Innings in 2013) – Otherwise he becomes a Free Agent. The Phillies are top-heavy for their payroll in 2013. I talked a lot about this in Part 1 of this series (The Franchise). What they really need is for Domonic Brown, John Mayberry and Ben Revere to improve in their role with the club and get as much production as they can out of their superstars. 2013 looks a lot better than the years after. 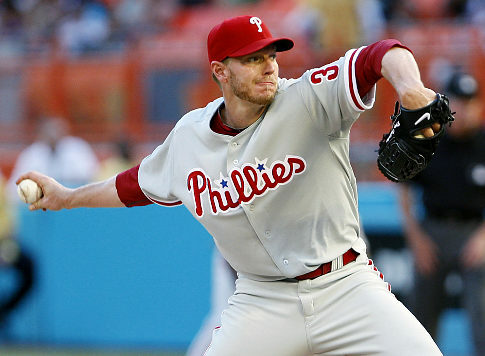 Roy Halladay must return to form in 2013. I am predicting the team will win at least 90 games in this year with the Starting Pitching having a bounce back season. The fans should all come in droves to the park while this club is competitive. The Phillies will age really fast after 2013, so there will undoubtedly be some rougher times ahead, as Jimmy Rollins, Chase Utley and Ryan Howard all fade into the back half of their careers. The New York Yankees are facing a similar dilemma. You might even see a Yanks/Phillies World Series rematch in 2013. I am sure the Dodgers, Angels, Tigers and Nationals will try to have their say about that as well. The smaller market teams might fight for another ring as well. You are starting to see some distances set forth from the high-priced salaried teams to the lower payroll clubs with both Los Angeles teams and Detroit nearing or going over the Luxury Tax Threshold of 178 Million Dollars in Player Salaries. Again, I am thinking that MLB Baseball might have to realign soon-to make the divisions stack up for payroll and geography reasons. I wrote an article about this some time ago here. The Phillies have led the MLB in attendance for the last 3 years, so they will be able to keep the payroll at a high mark as long as the baseball revenue is able to match it. It is the long-term contracts that won’t garner them much value at the end of these deals, that will ultimately set the Franchise back awhile. Ryan Howard highlights are below. He must return to his 40 HR self next year otherwise the Phillies will have a tough time competing. The Diamondbacks will look to regain the magic that aided them in winning the division in 2011. 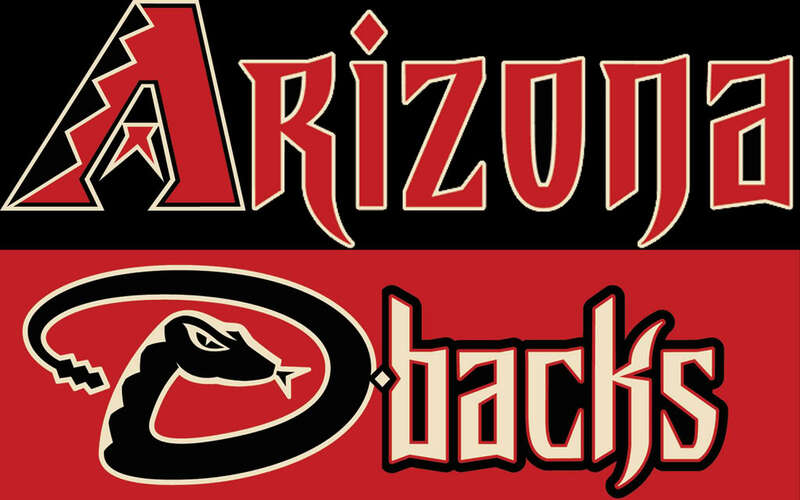 Arizona Diamondbacks fans had some high hopes coming into the 2012 season after winning the division in 2011 and making their way back to the playoffs for the first time 2007. The 2012 off-season saw them bring in free agent OF Jason Kubel. The season started off great with a three game sweep of the San Francisco Giants, but when CF Chris Young went crashing into the wall to catch a deep ball against the Pittsburgh Pirates the team was never the same. The Diamondbacks are in tough division the NL West, which is known for pitching. They will have to rely on their young starters if they hope to compete with San Francisco Giants & Los Angeles Dodgers. The offense will have to get better with manufacturing runs and instead of depending on the long ball to score runs. They traded away RF Justin Upton and 3B Chris Johnson, but they brought in versatile player Martin Prado and pitching prospect Randall Delgado. Game #7 of the 2001 World Series – Gonzalez Game Winner – Can the 2013 DBACKS get back to the WS? Arizona have won 5 Division Titles in just 15 years of existence – including winning the World Series in 2001. The franchise consistently is rated as one of the top rated front office organizations – and routinely rank as the most fan-friendly team in the MLB. The Franchise is 2nd amongst Expansion Clubs for Winning Percentage (.498) behind the Angels (.499.) The DBacks are only 10 games below .500 for their ALL-Time record (1210-1220). Will they be able to compete with the Dodgers and Giants in future years by increasing Payroll? The Diamondbacks finished the 2012 season with disappointment as they struggled to get over .500 for much of the season. They lost the last game of the season to the Rockies that summed up what happened during the year. When they got good starting pitching, the defense would make a costly mistake, and then the offense would struggle to score any runs. 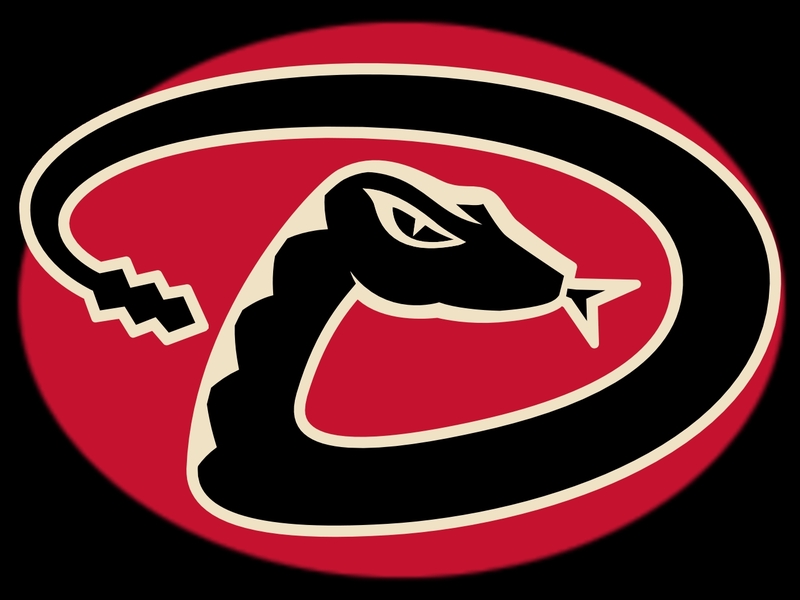 The Diamondbacks enter the 2013 camaign with plenty of new faces on the club. General Manager Kevin Towers has changed the makeup of this team these past two off-seasons. He has put an emphasis on players who can make consistent contact, rather than hitting the long ball. The Dbacks GM is always looking to improve upon the bullpen. He did this by taking a risk on Heath Bell who had a bad year with the Marlins, but Towers believes a change of scenery will help. Towers not only brought in bullpen help, but also signed some key players’ to long-term contracts that will aid the team to not only contend now, but for the future. 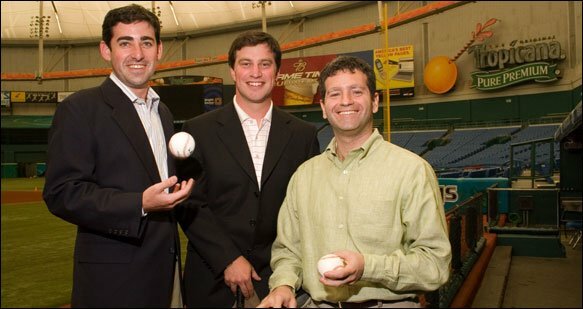 The Rays Management has been a lot better under the tutelage of the these 3 gentleman. 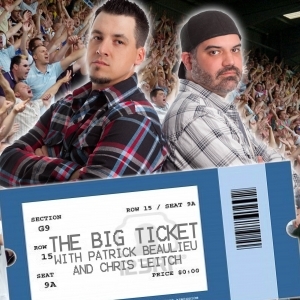 It is too bad that cant secure an MLB Park with the amount of revenue to pay their great players once they become great. The Tampa Bay Rays have had a great history of producing great MLB talent ever since the current regime of Stu Sternberg, Matt Silverman, Andrew Friedman, and Joe Maddon took over. Their system, is to build talent up in hopes to sign to club friendly long-term deals and have them produce until the price tag becomes just too high and then get the next era in from trades .When it comes to pitching however its a whole new ball game. The Rays have an unmatched system for finding pieces from all over and putting them into a mix that at best could be described as ” an Island of misfit toys” but it works. If you take a look at the Rays bullpen the last couple years you see a couple of guys stand out that really had no place anywhere else. In 2008, Grant Balfour became what no body thought he was, a great pitcher. In 2008 Balfour went 6-2 in 51 games with a 1.54 ERA and a staggering .89 WHIP. Balfour was signed that season for just above the league minimum at $500,000. Balfour would go onto to Oakland a few years later and signed for a little over 3 Million Dollars. 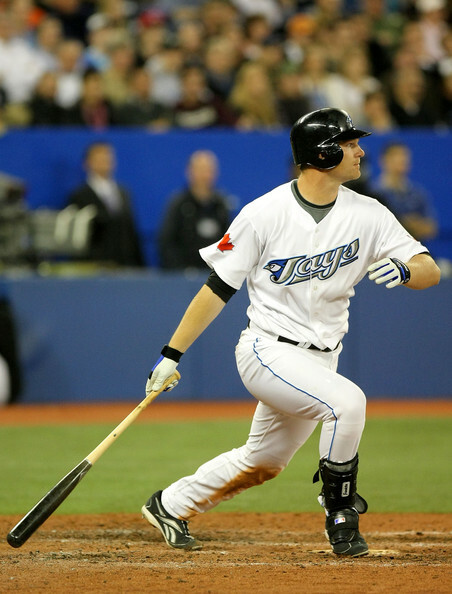 Adam Lind better hope he continue his decent second half in 2012 for the Jays, where he hit.304 with 4 HRs and 25 RBI in 161 AB after his recall from Las Vegas. As an AL East Contender, the Jays can’t afford any struggles like his 2012 first half. It could be curtains for a Career if he is sent to the Minors. Living in Toronto, I have watched MANY Adam Lind At-Bats in my time. Watching Adam Lind recently, I start to ponder back to the days of Russ Adams and Josh Towers. Watching each of these players (hit and pitch respectively), I continually asked myself one question: how do these guys still have jobs? Perhaps the manager really likes them. Perhaps the organization sees immense potential. I am not really sure, but eventually the Adams and Towers bubbles came to burst. In 2013, I sense the same thing will happen to Adam Lind. 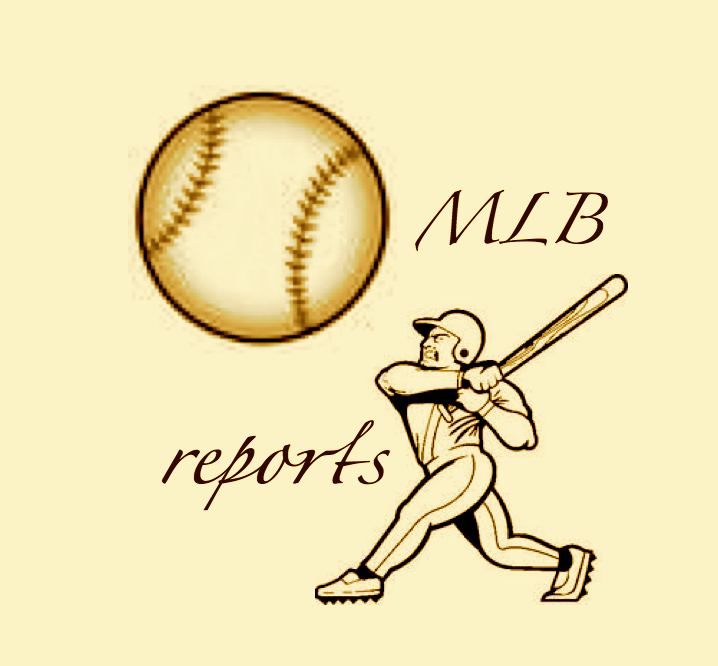 Note from Chuck Booth: I am attempting to bring the history for each of the 30 MLB Franchises into a 5-7 part series that will focus on 1. The teams history. 2. The hitters 3. The pitchers. 4. The Teams Payroll going into 2013 and 5.The Ball Park that they play in. (The stadium articles will all be done next summer when I go to all of the parks in under a month again.) Be sure to check my author page with a list of all of my archived articles section here. Today’s Part 2 Feature of the Blue Jays Franchise will be written by our Baseball Writer Alex Mednick. To do this franchise series service, Alex has studied this club a lot more than I have in the last 20 years and will do this article better justice for you the reader! Note from Alex Mednick: Chuck Booth offered to me the opportunity to step in to his Franchise Series and cover the Blue Jays history from 1994-Present. I gladly accepted the honor. In Part 1 of this series, Chuck covered the Blue Jays history from their humble beginnings at Exhibition Stadium in 1977, through the glory years in the late 80s and early 90s. The story dropped off right after the Blue Jays won back-to-back World Championships in 1992 and 1993. We closed the books with the walk-off winning home run by Joe Carter to win the World Series, and the parties and celebrations that were to follow across Ontario, Canada. I will pick it back up at the beginning of the 1994 season, when the Blue Jays had high hopes to win a third consecutive world championship. Note from Chuck Booth: I am attempting to bring the history for each of the 30 MLB Franchises into a 5 part series that will focus on 1. The teams history. 2. The hitters 3. The pitchers. 4. The Teams Payroll going into 2013 and 5.The Ball Park that they play in. (The stadium articles will all be done next summer when I go to all of the parks in under a month again.) 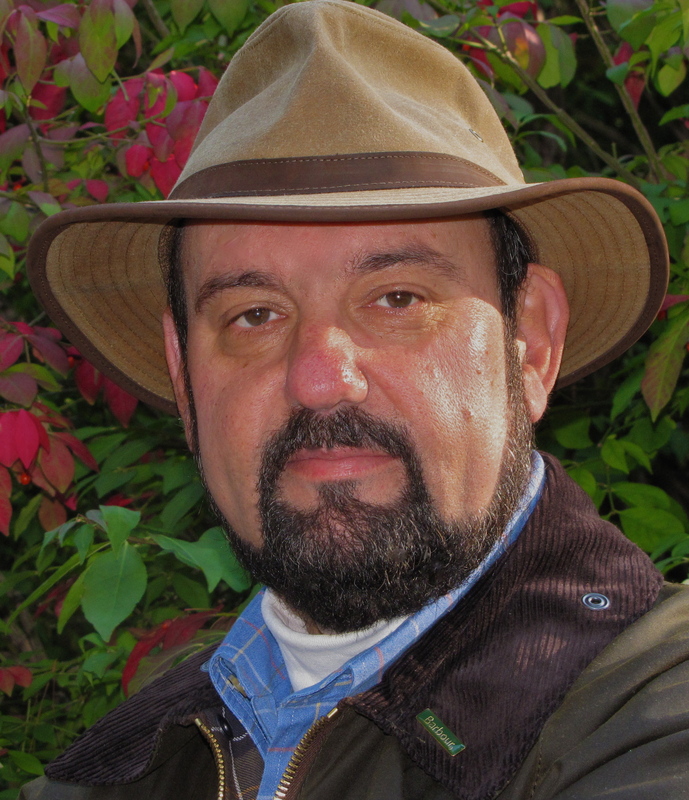 Be sure to check my author page with a list of all of my archived articles section here. Tony Fernandez leads the Blue Jays Franchise for Hits and Games Played ALL-Time. At the age of 37, he flirted with a .400 average for half of the season in 1999. 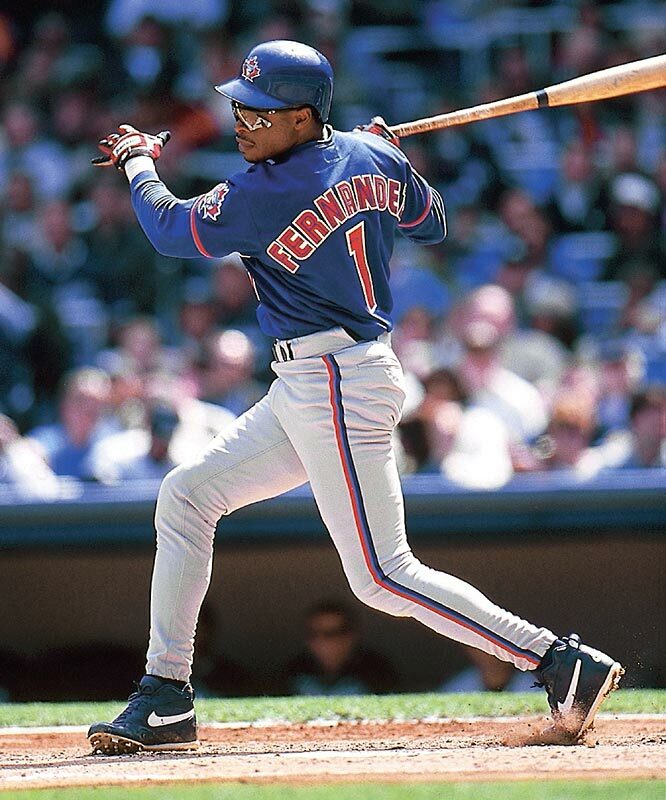 In his first go around with Toronto, he was part of the BlockBuster Trade that saw he and Fred McGriff go to San Diego for Joe Carter and Robbie Alomar at the GM’s Meetings in Dec of 1990. -Photo Courtesy of Sports Illustrated. I like that this franchise series is right dab smack in the middle of the biggest Franchise trade since Tony Fernandez and Fred McGriff went to San Diego for Roberto Alomar and Joe Carter in 1990. A Toronto Blue Jays fan can only hope for the same result that came down afterwards to repeat itself in the next few year. The early days of the Jays hitters (late 1970’s provided some long-term reliable guys,) however it wasn’t until Jesse Barfield won a HR Title and George Bell came home with the 1987 AL MVP, that the rest of the MLB started to take notice on the hitters of this Canadian Team. As soon as the club moved into SKYDOME, the hitters had a field day. Not to say that Exhibition Stadium didn’t aid some homeruns and nice averages in its day, it is just that SKYDOME is a hitter friendly park. From George Bell and the outstanding other 80’s OF trio of Barfield and Lloyd “The Shaker” Moseby, to Tony Fernandez and Ernie Whitt, these guys all played a huge chunk of their careers with this Canadian Club. Fred McGriff routinely hit towering shots off of the Windows Restaurant and led the AL in HRs during the 1989 Pennant Winning Season. In 1991, when Joe Carter and Roberto Alomar arrived onto the scene, the offense just clicked on all cylinders. Devon White was gracefully stealing bases and striding into runs with those gigantic high knee kicks of his. John Olerud walked right out of College and added one of the best ‘natural’ swings that any of us have ever seen. Veterans Dave Winfield and Paul Molitor bashed their way into Jays hearts with their limited time with the organization en route to back to back World Series Titles in 1992 and 1993. After the Strike/Lockout, the team then saw Shawn Green and Carlos Delgado routinely destroy pitchers and be amongst the league lead in several power categories. There is a ton more on this article just past these links or by clicking the READ THE REST OF THIS ENTRY ICON. Here are the links for the article series.